At the beginning of every year, I like to take a moment to look at how far where we’ve come from a technology perspective and to venture a guess at where I believe things are going. Some of the most formative and influential moments I had this year were related to the growth around OpenStack, which was especially notable after my return from each OpenStack summit. As such, I’m going to focus my predications for cloud trends around around OpenStack in 2015. When I think about cloud and OpenStack for 2015, the primary trend of note to me is the move away from hypervisors to a fusion between containers and bare metal. I’m basing this on the hard numbers from the recent OpenStack User Survey, the results of which were released following the OpenStack Summit in November in Paris. The data represent only the beginning of a growing movement. Part of the reason this migration is becoming a popular option is because containers offer a simpler option for running dynamic workloads on bare metal, while still ensuring isolation between workloads. This suddenly makes the option of running containers on bare metal an attractive option that comes with tremendous performance and utilization benefits, not to mention simplicity, especially in specific cases where a full-blown cloud may be overkill, such as running a Hadoop cluster or managing dev/test environments. I believe this is only the start of such a trend, and we’ll definitely be seeing much more of this in the upcoming year. The adoption of OpenStack as the private cloud of choice in both enterprises and telcos brings the two industries much closer together. If previously telco IT and infrastructure looked quite different than that run by enterprises, with OpenStack, we’re seeing that the solution – IT as well as the backend stacks for running the actual core services of telcos – is becoming very similar to that of enterprises. As a matter of fact, at the last OpenStack summit, which is traditionally driven by enterprises, we’ve seen a significant growth in and influence of telcos who are adopting OpenStack. The driver is that NFV has become one of the main themes in the Juno release and will receive even more emphasis in the Kilo release. Another very important element in this respect is TOSCA (Topology Orchestration Specification for Cloud Applications), which also has been gaining adoption. Since telcos are a very standards-driven industry, we’re seeing the importance and adoption of a standard like TOSCA becoming an important criterion in the choice of orchestration. I see the formerly disparate IT worlds of NFV and enterprises beginning to converge, and TOSCA will play a leading role in becoming the de facto standard for NFV orchestration for both these industries. On that note, the recent decision by both Google (News - Alert) and Amazon to add support for orchestration as an independent service layer of the stack marks the move of orchestration to center stage. It will become an official important component in all private and public cloud offerings. Therefore, it’s not surprising to see Canonical/Juju, as well as a growing list of orchestration tools, adopting TOSCA as their official templating language, joining a list of existing contributors, such as IBM, Huawei, Cloudify, FastConnect, Alcatel-Lucent (News - Alert), among others. It’s no news that containers are gaining huge momentum and popularity, and will continue to grow as this becomes a central piece in a modern cloud stack. I don’t think anyone put it better than Adrian Cockcroft, in one of his many talks): “Docker is the technology that has gone the quickest from disruptive to legacy.” It’s almost easy to forget that Docker 1.0 was only launched in June this year. Who is controlling the future of containers is now becoming a hot topic. As long as Docker was a small piece in the stack, it was easy to swallow but, now, as its growing up the stack, it has started to compete with its own ecosystem. Therefore, it won’t be surprising to see alternatives to Docker (one such example is the launch of Rocket, earlier this year, to keep up with Docker), and potentially, a move to a consortium/foundation model that will give better control and visibility of the future of containers. Clearly, the Mirantis $100M investment has put it in the spotlight as a rising star in the OpenStack distro world. As OpenStack is primarily positioned for private cloud and large enterprises, Red Hat has a promising position to continue and maintain its leadership position based on its current enterprise footprint. Ubuntu (News - Alert) will have challenges gaining large market share within the enterprise world. It also remains an open question whether the recent bold moves by HP, which has finally gone all-in on OpenStack is not too little, too late. VMware/OpenStack, also joined the OpenStack distro war, with an aim towards retaining its existing customer base. These are potentially the main competition for Red Hat. I believe Mirantis will be a rising star in 2015, and expect to see more bold cat fights on the enterprise side by VMware/Red Hat and HP. The lack of a clear winner in this space will raise the demand for an independent/pure-play app deployment and orchestration framework that can work with any kind of distribution. Overall, I think OpenStack will continue to demonstrate growth and be a serious business and investment driver across the cloud industry. It will continue to serve as a disruptive technology for many aspects that have previously been a black box in terms of “closed source” cloud. By opening the APIs to all, new and innovative forms of cloud automation capabilities are suddenly possible. I, personally, am looking forward to seeing how 2015 unfolds, and whether or not any of this will hold true when looking back at the end of the year. About the Author: Nati Shalom, Founder and CTO at GigaSpaces (News - Alert), is a thought leader in Cloud Computing and Big Data Technologies. 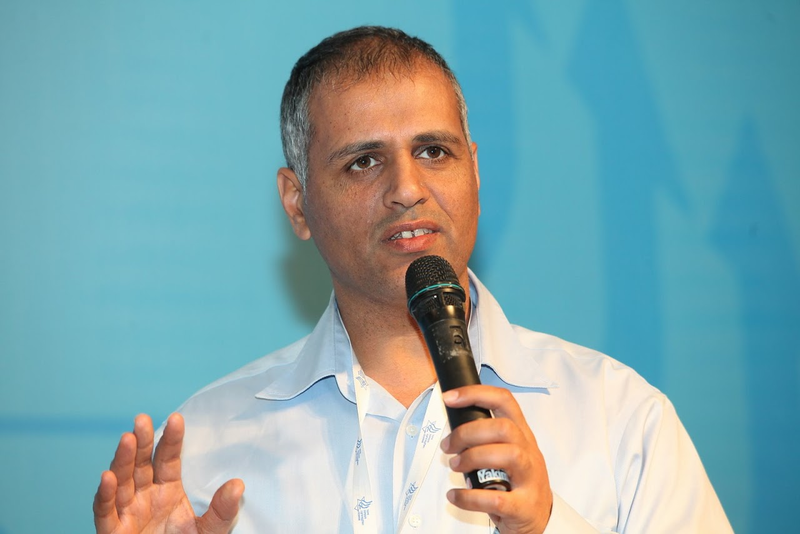 Shalom is the founder and also one of leaders of OpenStack Israel group (meet him at OpenStack Israel – June 15, 2015! ), and is a frequent presenter at industry conferences.